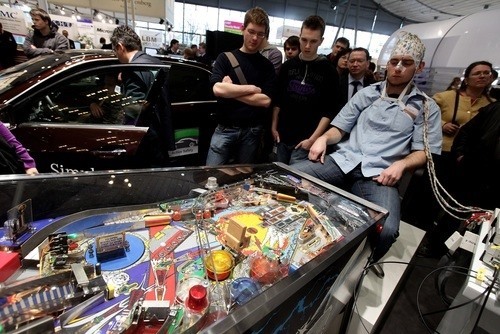 At Germany's 2010 ceBIT Technology Fair, a company called Berlin Brain-Computer Interface demoed technology for mind controlled pinball. The game is controlled solely with brain impulses. "'He thinks: left-hand or right-hand and the electrodes monitor the brain waves associated with that thought, send the information to a computer, which then moves the flippers,' said Michael Tangermann from the Berlin Brain Computer Interface." 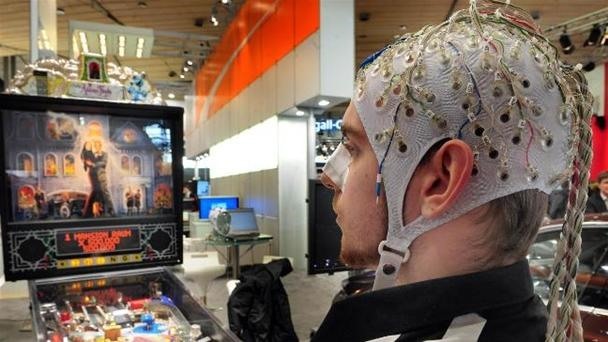 Okay, so the idea of mind controlled pinball is admittedly a little silly. However, this vein of technology promises a little more than fun and games. 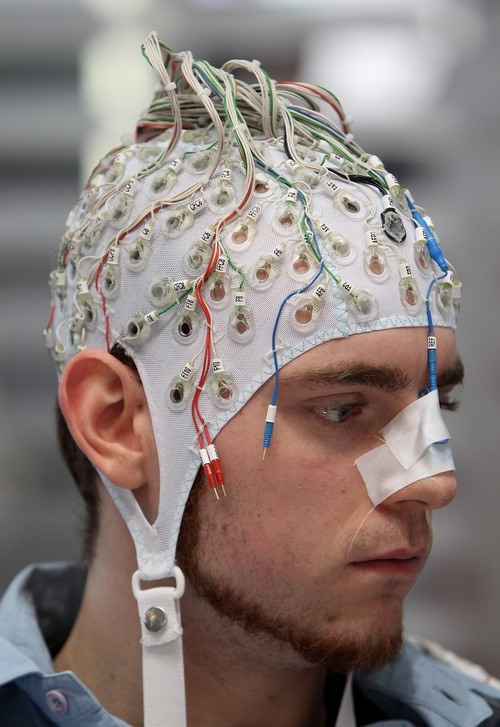 "Scientists are researching ways to monitor motorists' brain waves to improve reaction times in a crash. In an emergency stop situation, the brain activity kicks in on average around 200 milliseconds before even an alert driver can hit the brake. There is no question of braking automatically for a driver - 'we would never take away that kind of control,' Mr Tangermann said. 'However, there are various things the car can do in that crucial time, tighten the seat belt, for example.' Using this brain-wave monitoring technology, a car can also tell whether the driver is drowsy or not, potentially warning him or her to take a break..." (Read More). how is the hat still effective through hair? I like that you use the term telekinetic rather than telepathic. Pinball for the paralysed or just plain lazy.